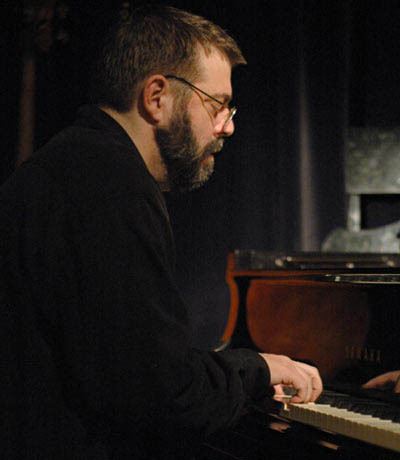 A native of the Pacific Northwest, Dave Peck is recognized as an outstanding composer, arranger and pianist. He is known for his focus on the profound beauty he finds in the narrative of this music and has been lauded by the jazz press for his award winning CD’s Trio, Solo, 3 and 1, Out of Seattle, Good Road and Modern Romance. From 1978 to 1996 Dave performed as a sideman, most notably, as pianist and composer for legendary saxophonist Bud Shank. Their collaboration led to the CD, Tales of the Pilot, Bud Shank plays the music of David Peck, and Live at Jazz Alley, Tomorrow's Rainbow and The Lost Cathedral. Go to Projects/Events to see what is coming up for Dave and the trio. Become a Participant in Dave’s ArtistShare Projects. Click on the ArtistShare link above and see how to join in. Let’s Play Stella Records announces the release of Modern Romance, a set of standards recorded live at Jazz Alley in September of 2007. Featuring the extraordinary talents of Dave Peck on piano, Jeff Johnson on bass and Joe La Barbera on drums. "On Modern Romance, Peck soars!" "Tales of the Pilot" Now Available for Sale! In 1989 Bud Shank and Dave recorded a CD of Dave's compositions titled "Tales of the Pilot, Bud Shank Plays the Music of David Peck". It is now available for purchase thorough the site. Jazz Journal International said "This is more than just a horn plus rhythm section group. Shank along with the brilliant David Peck play with great originality and purpose and could well mark the beginning of a new era of West Coast Jazz." Click on 'Buy' to purchase! Don't know which CD to buy? Try 'The Sampler'. A new compilation of tracks from Dave's first five award winning CDs. Available as a download purchase with over 50 additional bonus download and streaming audio selections. Click on the ArtistShare link above and sign up. Receive recorded lessons from Dave along with worksheets, lead sheets and a copy of Dave’s award winning CD Good Road. As a participant you will receive over 60 bonus downloads and streaming audio selections. Click on the ArtistShare link above to join in the project.